Janet Jackson is pregnant with her first child, according to reports. Sources tell ET Online the “Rhythm Nation” singer is expecting a baby with husband Wissam Al Mana, less than two weeks before the singer celebrates her 50th birthday. The news follows Janet's announcement back in March that she would be canceling the rest of her Unbreakable World Tour to focus on starting a family. "We’re in the second leg of the tour and there actually has been a sudden change," she explained in a video posted on Twitter. "I thought it was important that you be the first to know. My husband and I are planning our family, so I'm going to have to delay the tour." Fans were initially disappointed by the tour cancelation after Janet completed the North American leg, but she used the video on April 6 to reassure fans she would be back, but her urge to be a mother was a priority. "Please, if you could try and understand that it’s important that I do this now," she continued. "I have to rest up, doctor’s orders. But I have not forgotten about you. I will continue the tour as soon as I possibly can." 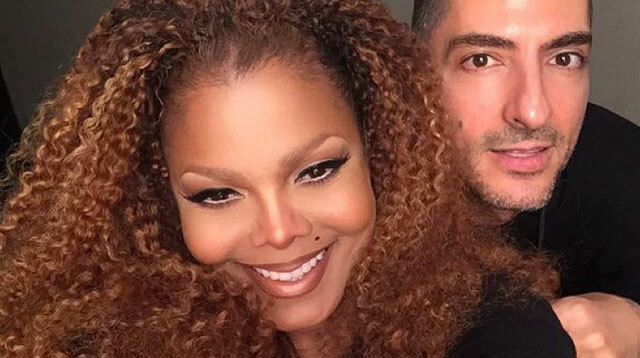 Janet tied the knot with Wissam in secret back in 2012, only confirming the news of their nuptials in 2013. The marriage is the “All For You” singer's third—she was previously wed to James DeBarge in 1984, before splitting a year later. She wed second husband, Rene Elizondo Jr. in 1991. The couple divorced in 2000.